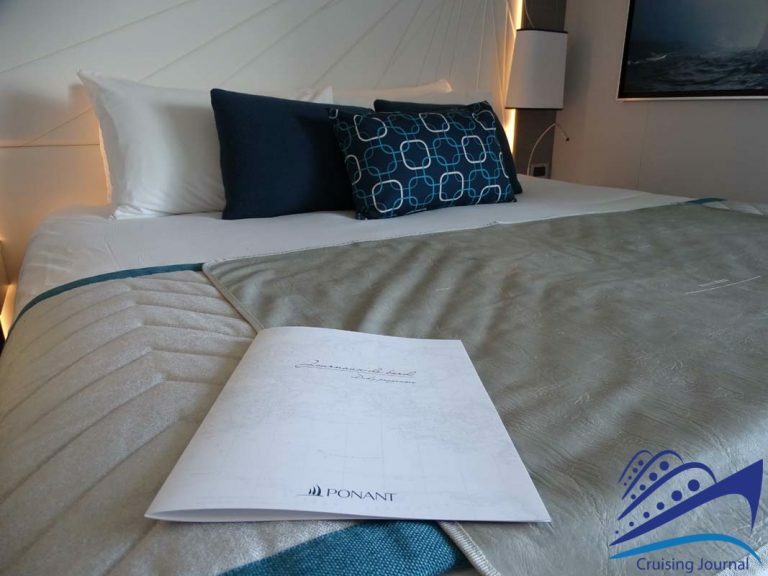 Ponant is synonymous with small, elegant, intimate ships, as well as adventure and discovering unique places around the world. Le Lyrial is a cruise ship built by Fincantieri in 2015: 10,700 tons in weight, 142 meters in length and 18 meters wide. 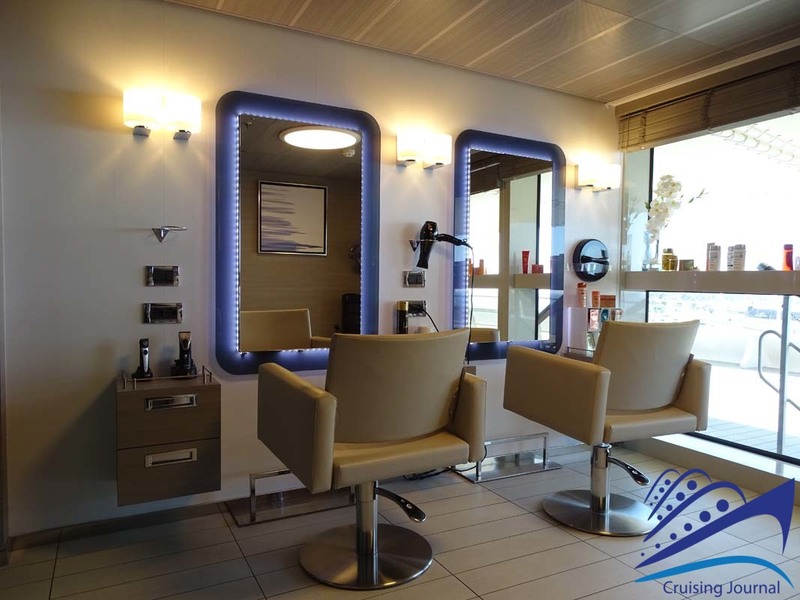 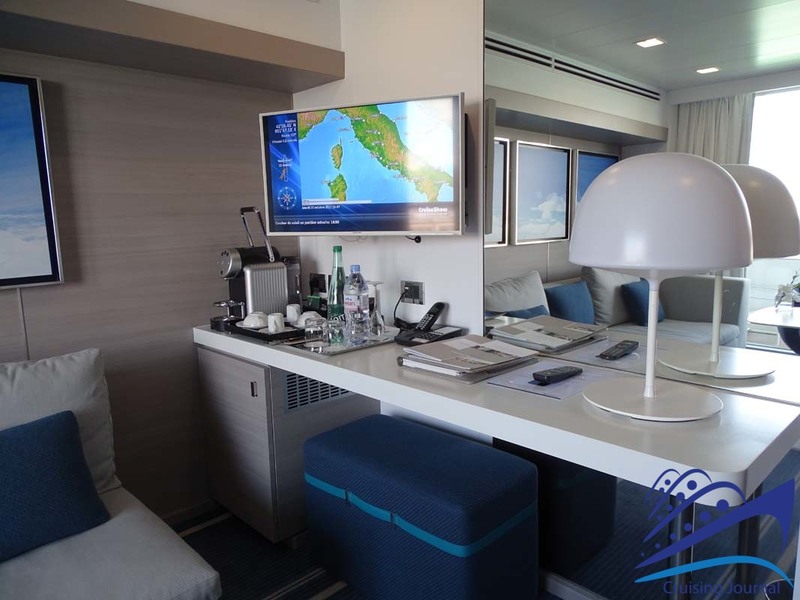 The 132 cabins that can accommodate less than 300 passengers make the ship very people-oriented. 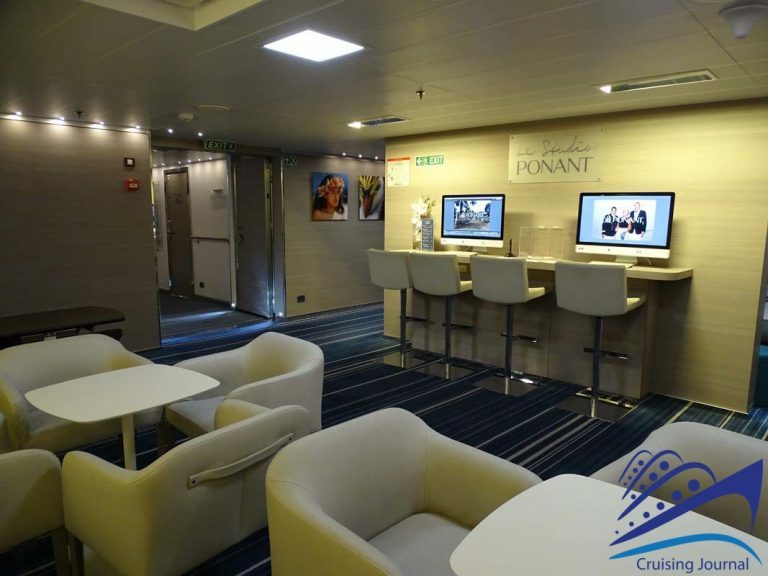 There are 6 decks in total, 4 of which are devoted solely to cabins. 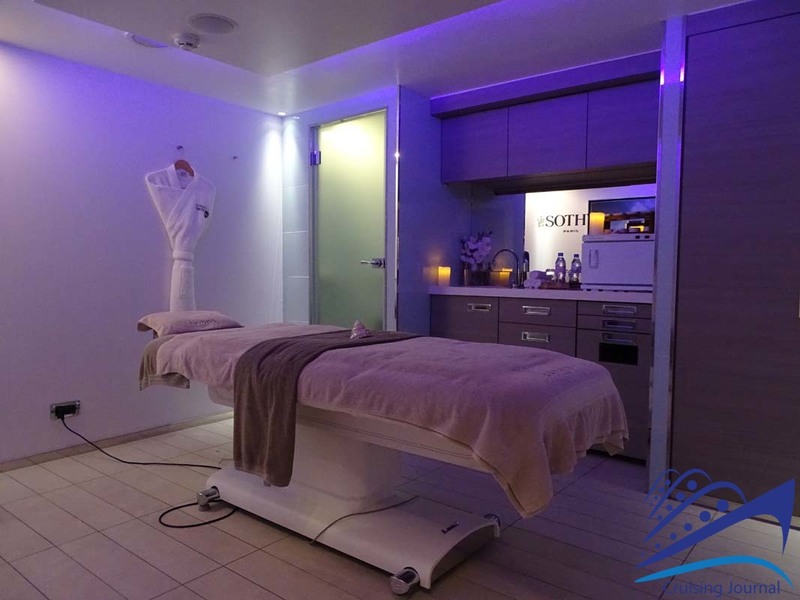 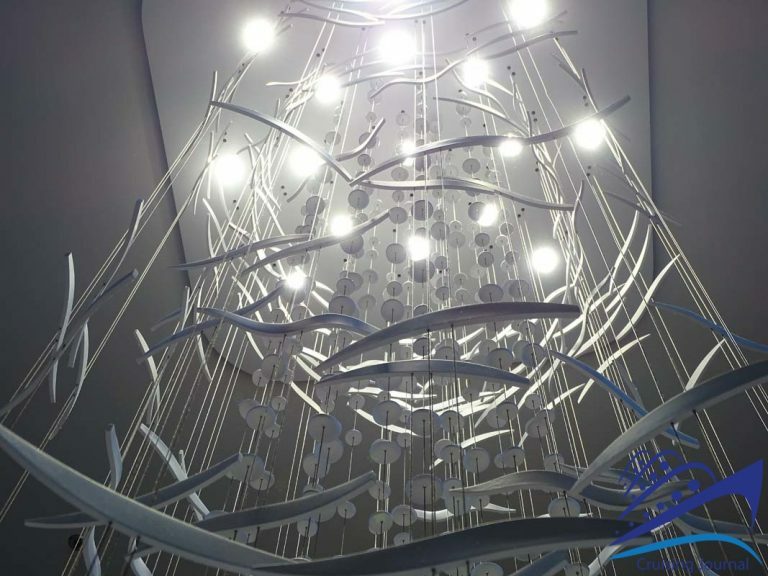 Your experience on Le Lyrial starts immediately with a feeling of relaxation and quiet, surrounded by an elegant yet at the same time simple, modern style. 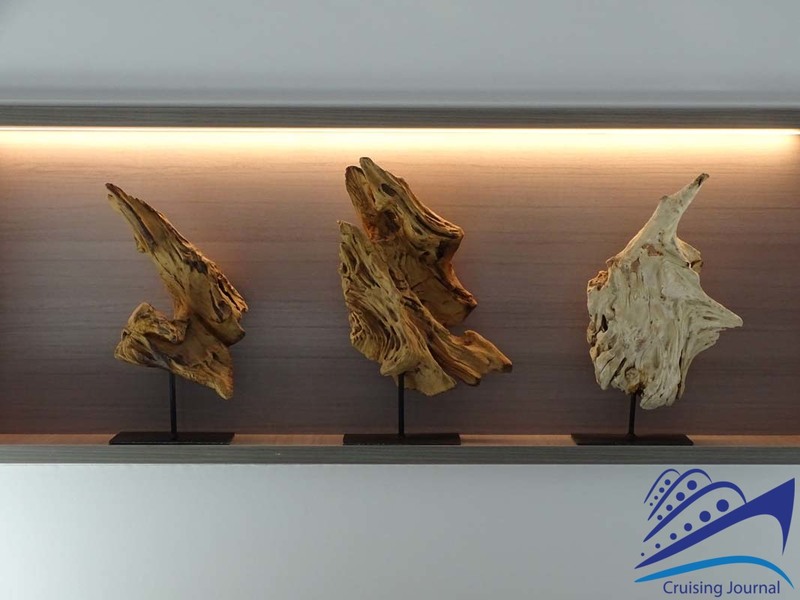 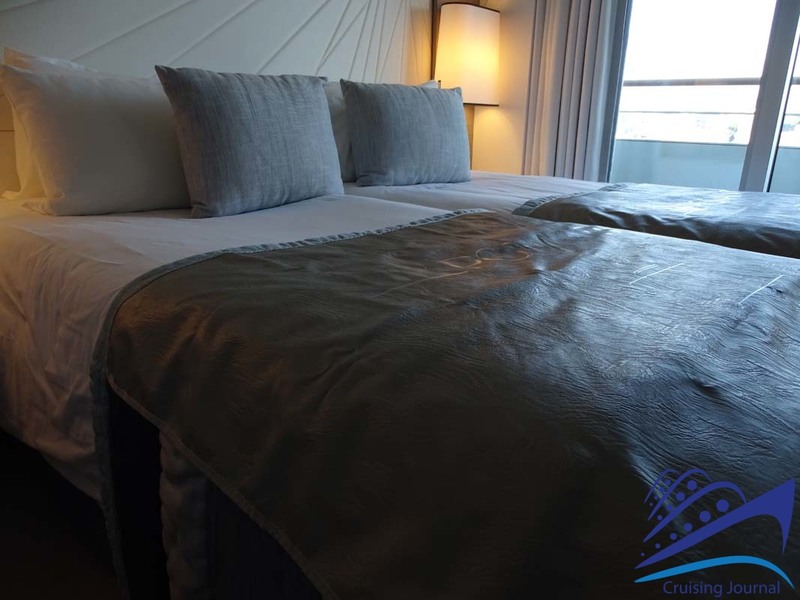 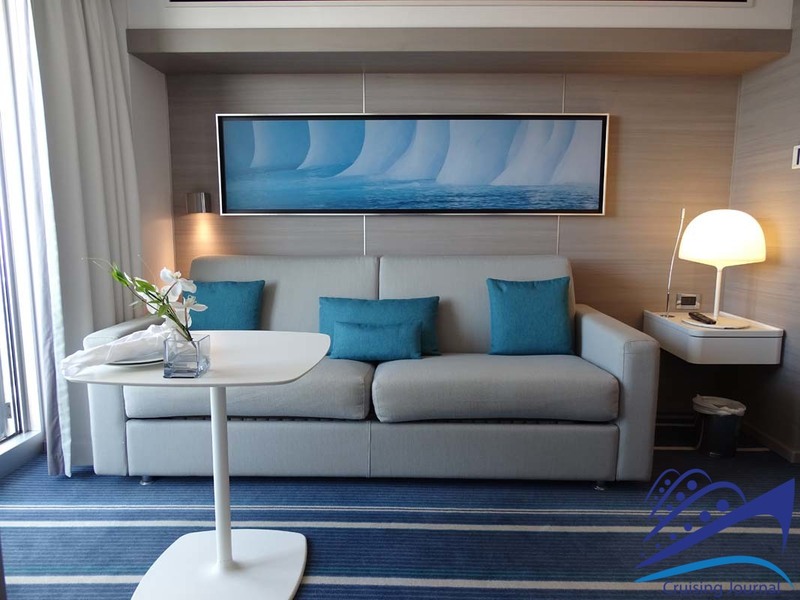 All rooms on board are bright, furnished with light tones and always offer a sea view. 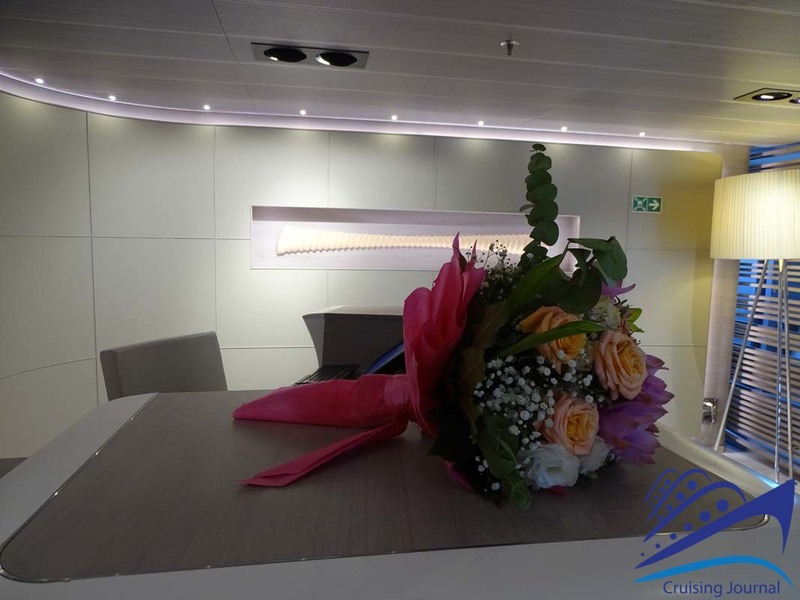 The Excursion Office and Reception Desk are located on Deck 3, across from the ship gangway. 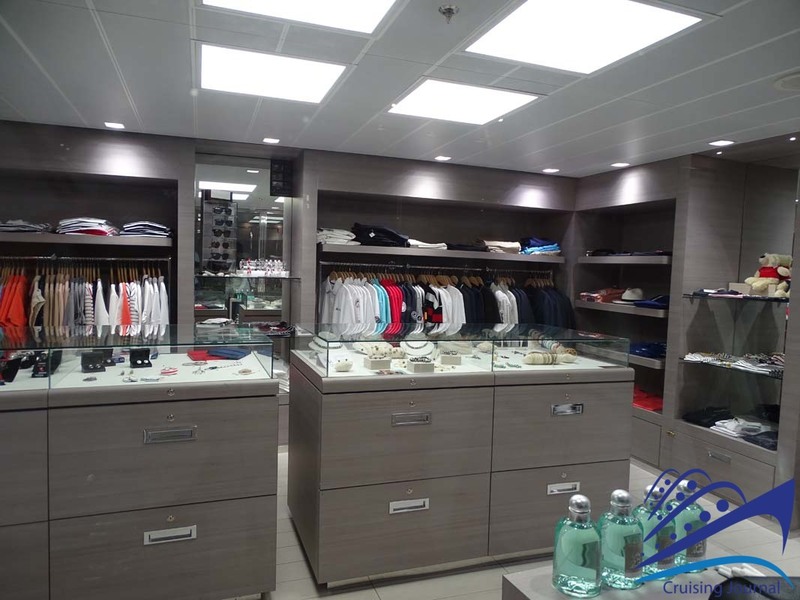 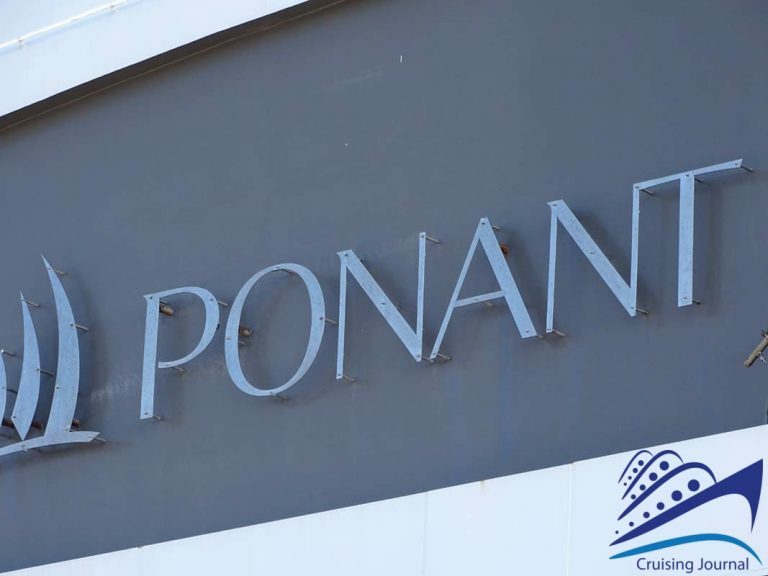 From here, moving towards the stern, you can find the Boutique with Ponant-branded clothing and souvenirs. 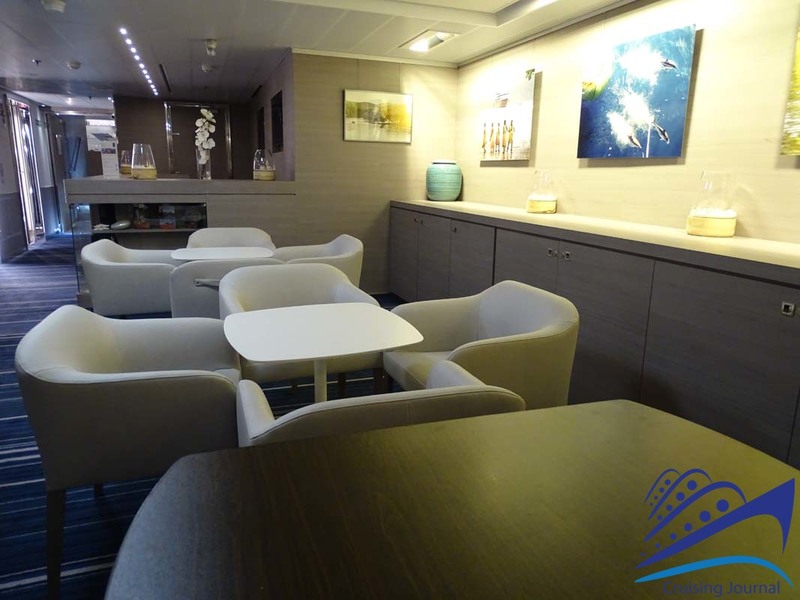 The Club Lounge, a large aft hall with coffee bar, sofas and wide TV screens, is located a little further ahead. 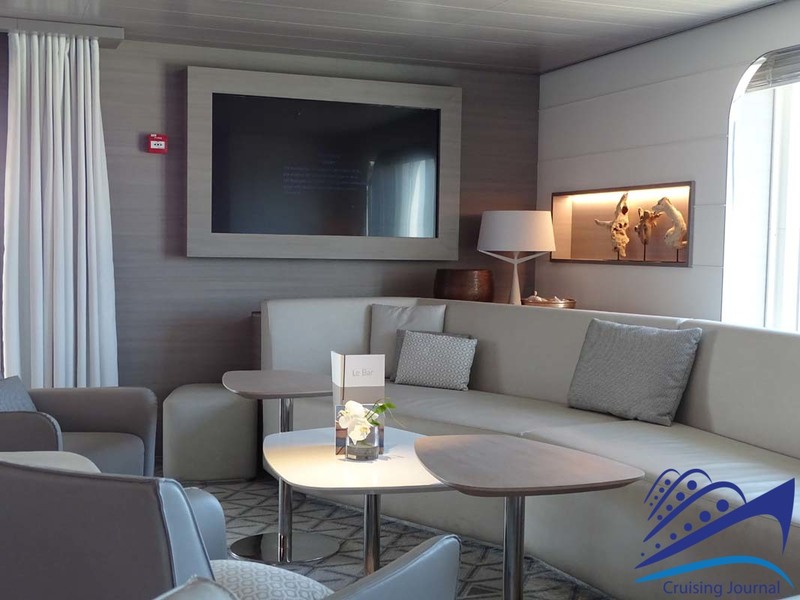 This is the ideal place to spend some pleasant hours reading a book, having a coffee, or meeting other passengers. 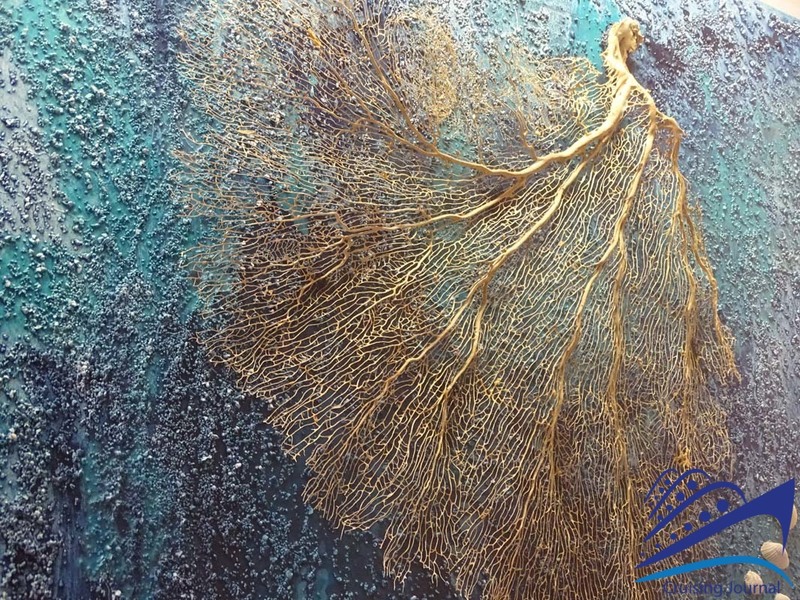 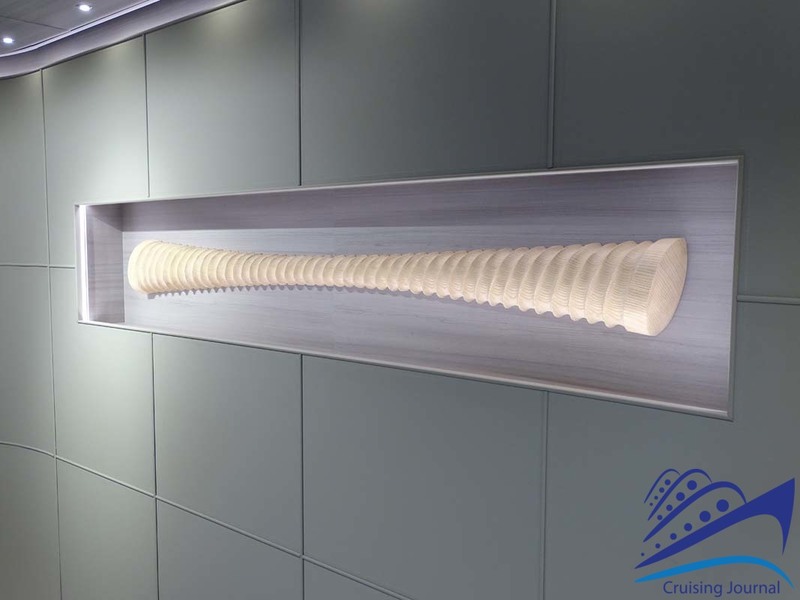 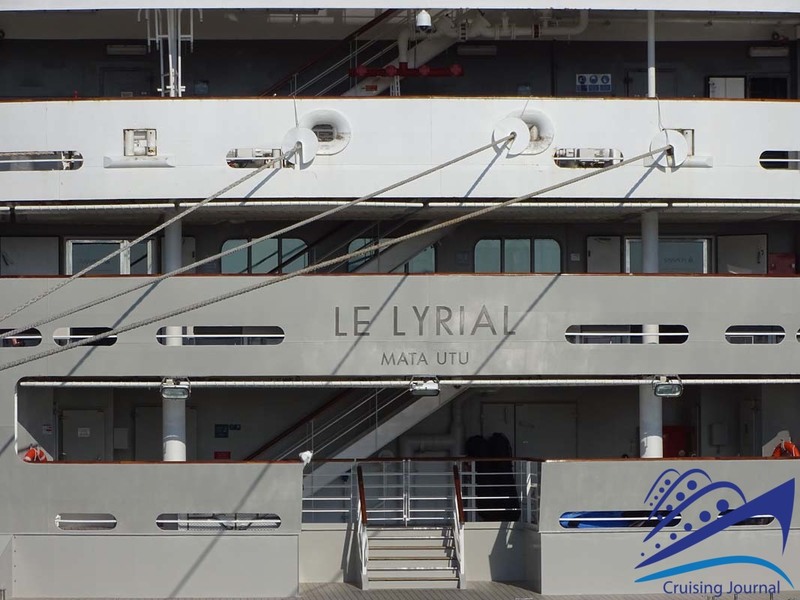 The size of Le Lyrial lets you feel like you’re on a large yacht sharing wonderful experiences at sea with a few fellow passengers. 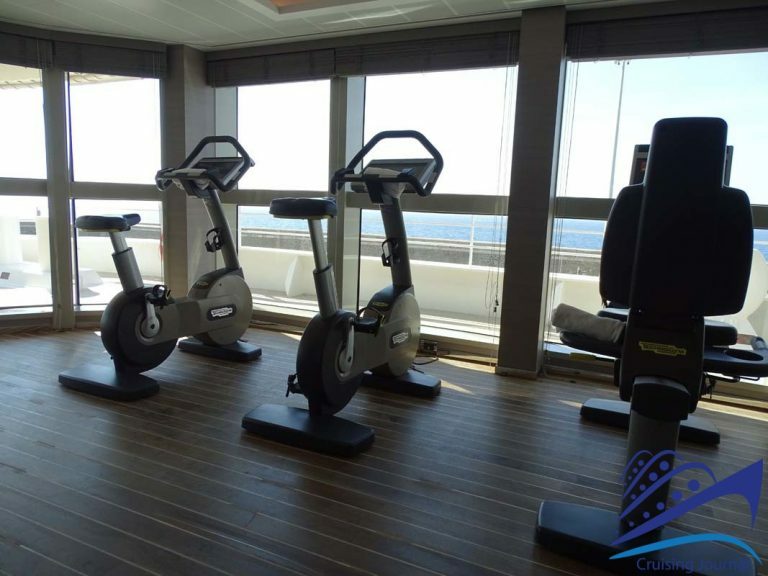 At specific times during the day you can listen to your favorite music. 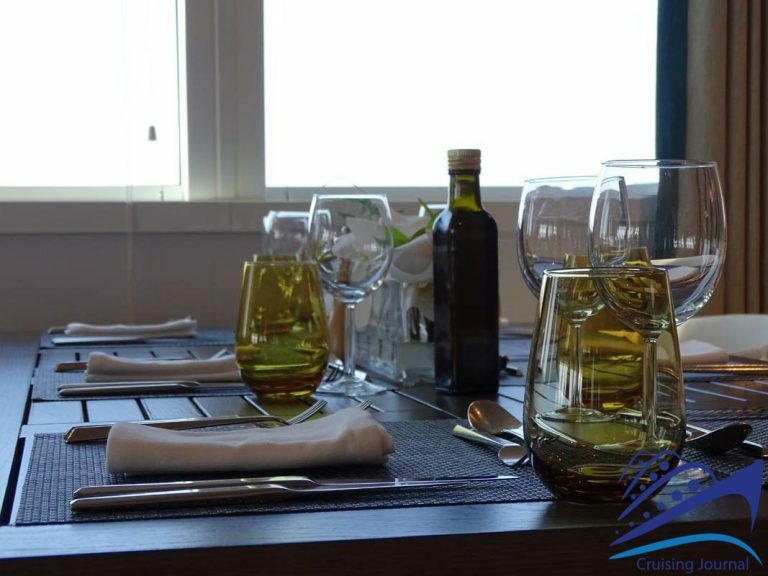 A sort of “menu” that is found on the tables keeps you up-to-date on the entertainment schedule. 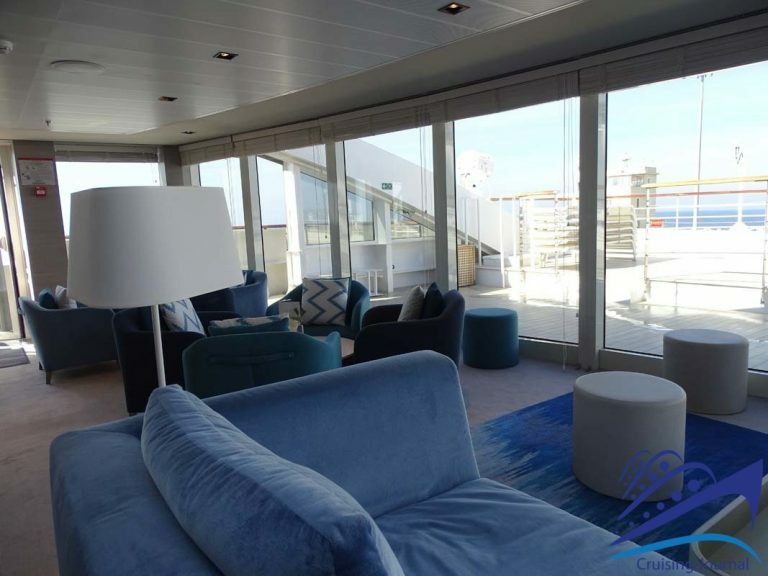 The outdoor spaces, overlooking the stern from the Lounge, are just as beautiful. 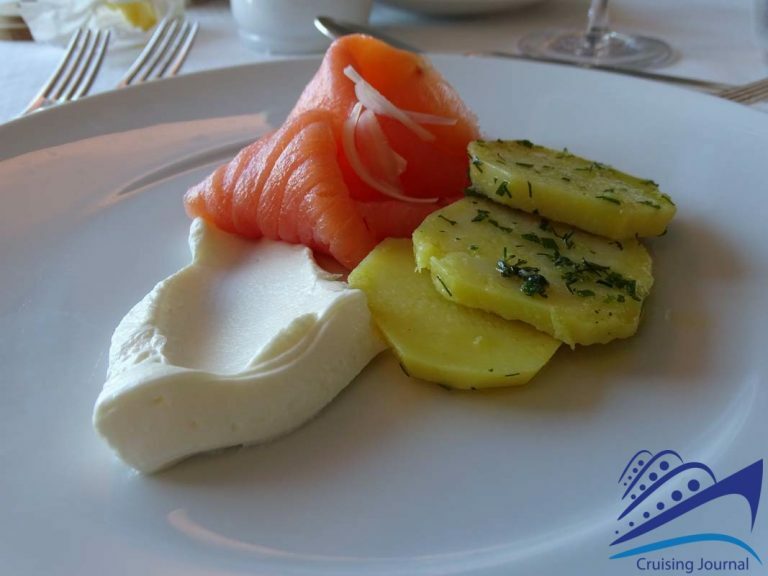 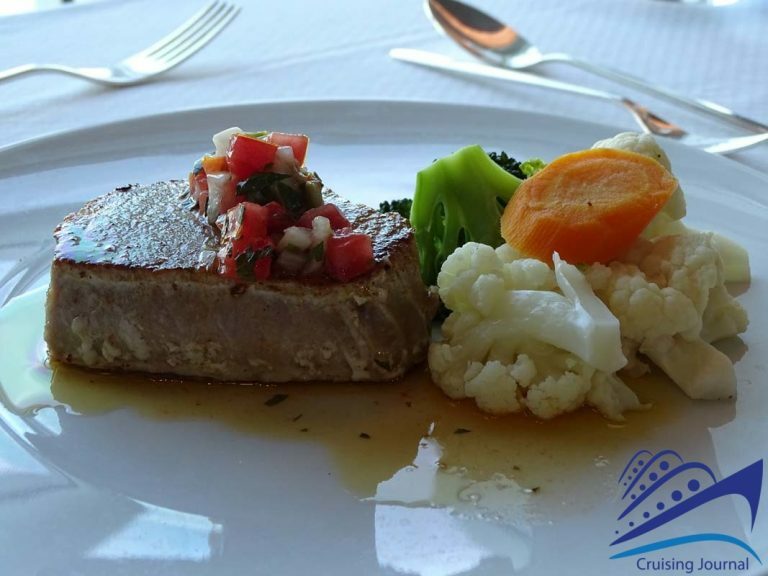 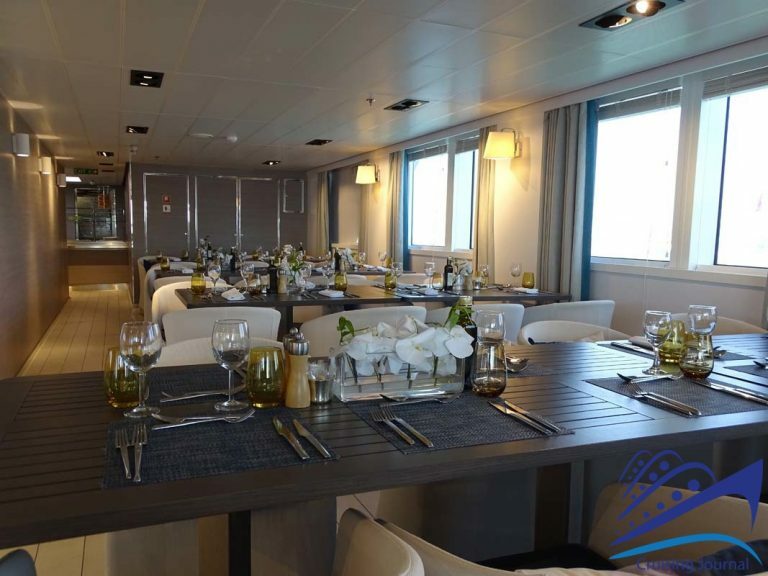 On Deck 2, just below the lounge, you will find the main restaurant open for each of the day’s meals, from breakfast through to dinner. The atmosphere here is just as relaxing, surrounded by the brightness of the wide windows overlooking the sea. The mise en place is elegant and the bottles of wine stored in glass wall partitions are sure to catch your eye. 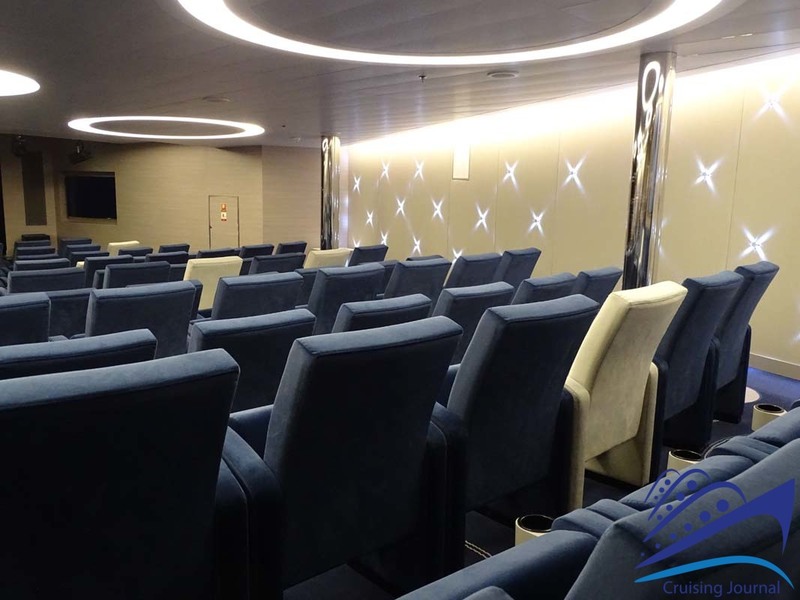 Going up to Deck 4, above the restaurant, you can find the theater, which can accommodate all the passengers on the ship, and is a very welcoming venue regardless of its sober furnishings. 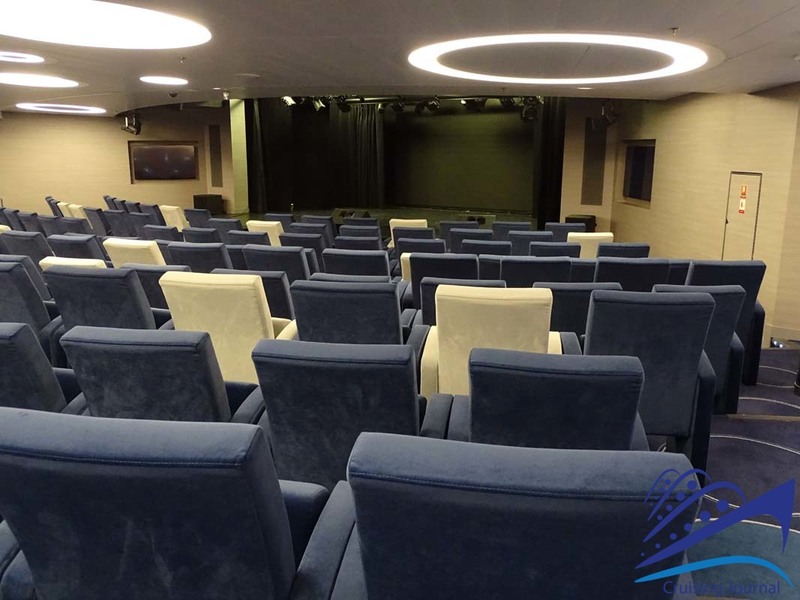 In addition to the shows and screenings, the theater is also used for meetings as well as meeting point for excursions. 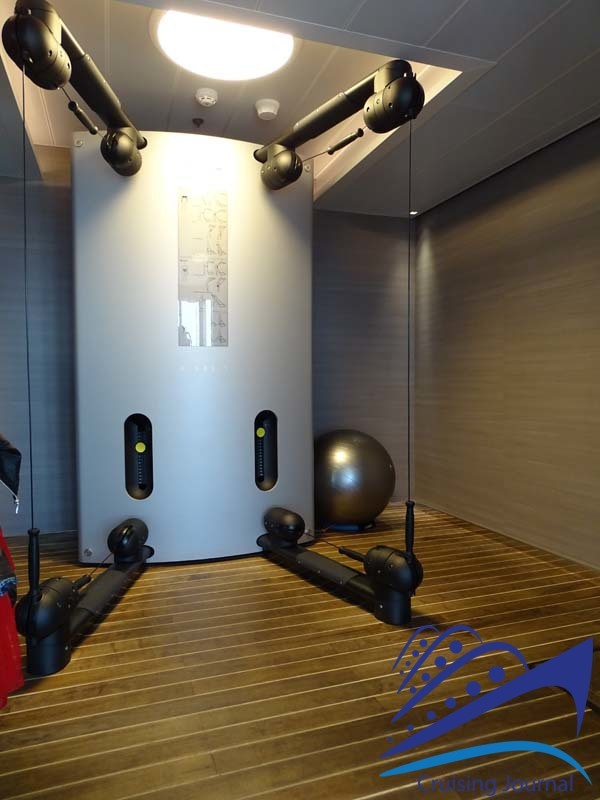 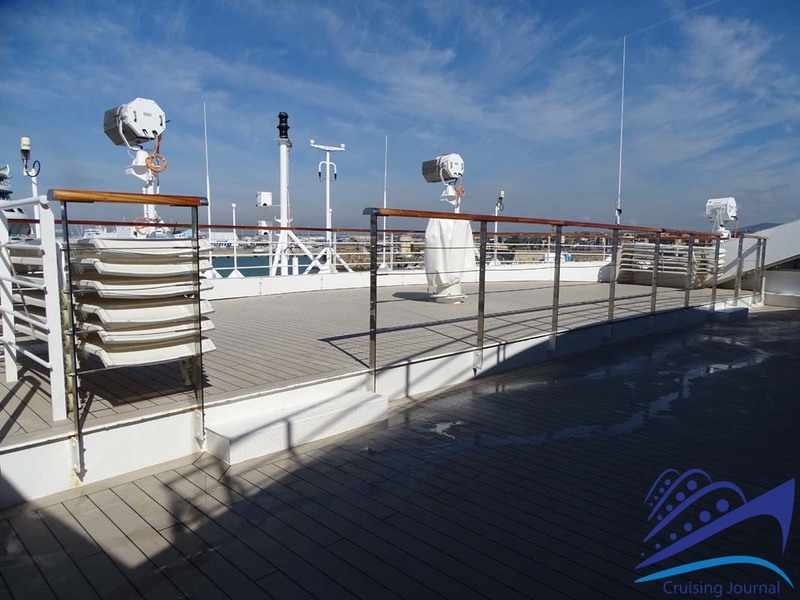 On the Upper Deck, the small Spa is equipped with treatment and massage rooms, a sauna, a Hammam, and a gym dedicated almost exclusively to aerobic activity. 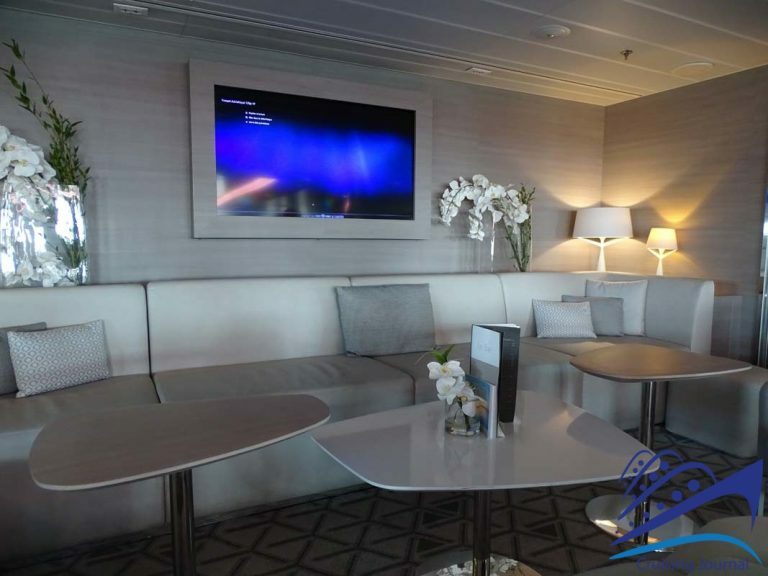 In the Leisure Area, you can admire the photographs taken on board, consult a number of volumes on a monitor screen, as well as find a children’s area. 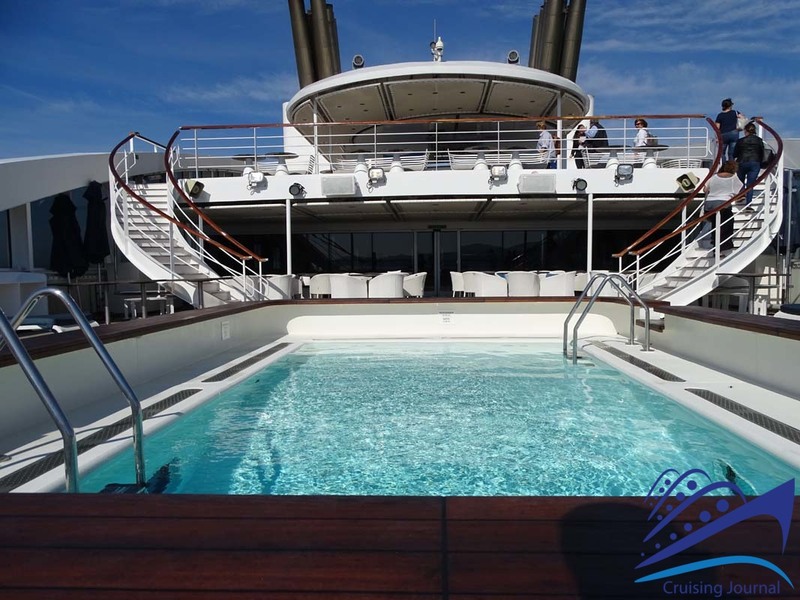 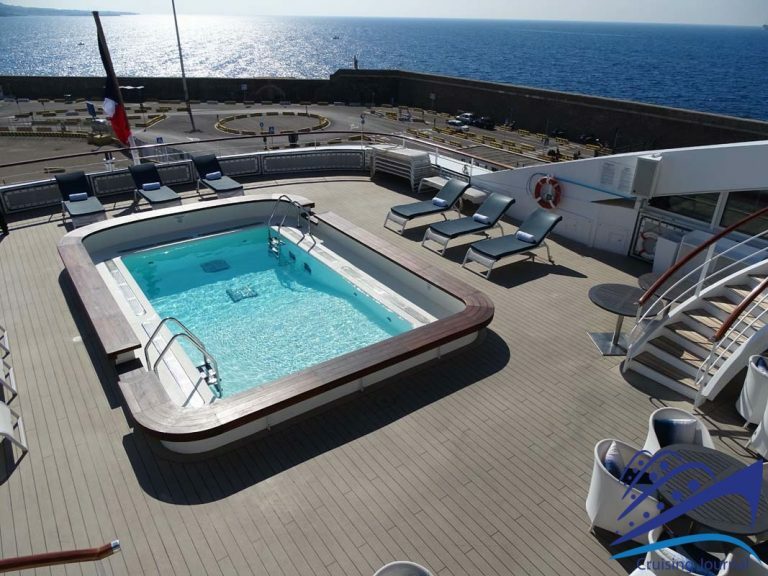 The swimming pool of Le Lyrial is located in the stern area on Deck 6 and even though it is not very big, the Lido area is still a pleasant “living area” where you can spend time swimming or sunbathing. 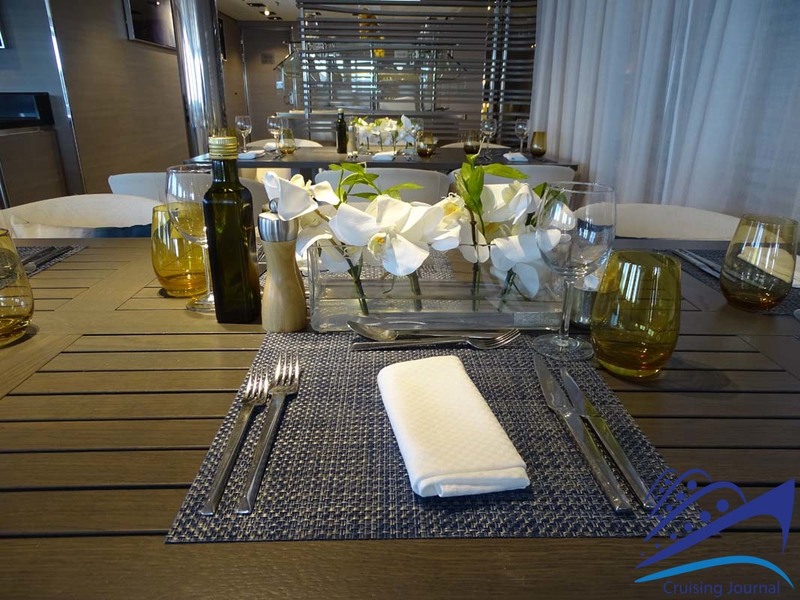 Behind the swimming pool, you will find the very “summery” and colored Compass Grill restaurant, equipped with tables on the outside as well. 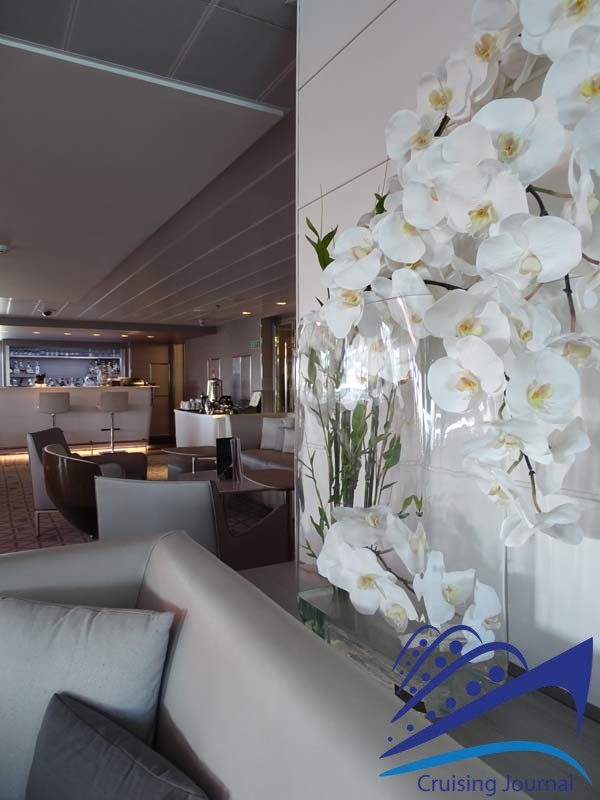 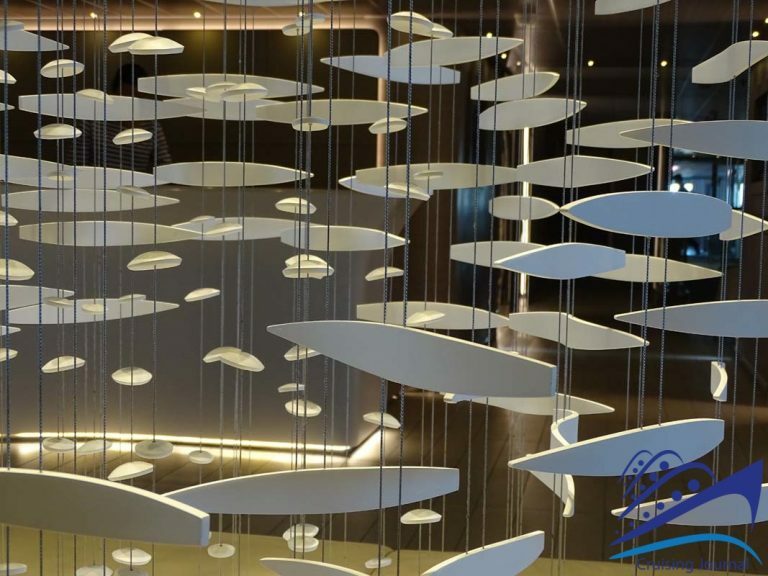 One of the most striking places on the ship is found at the bow on Deck 6: the Panoramic Lounge. 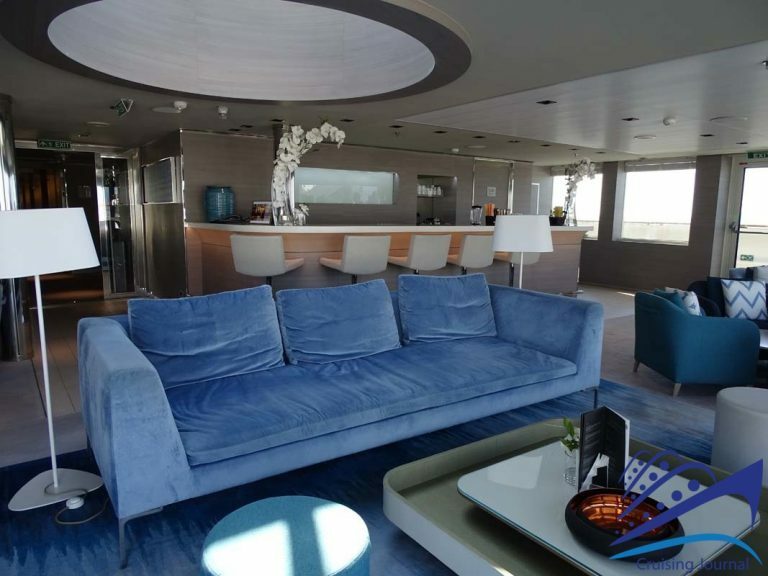 Cozily nestled on sofas or armchairs, you can enjoy your favorite cocktail with a spectacular view over the bow. 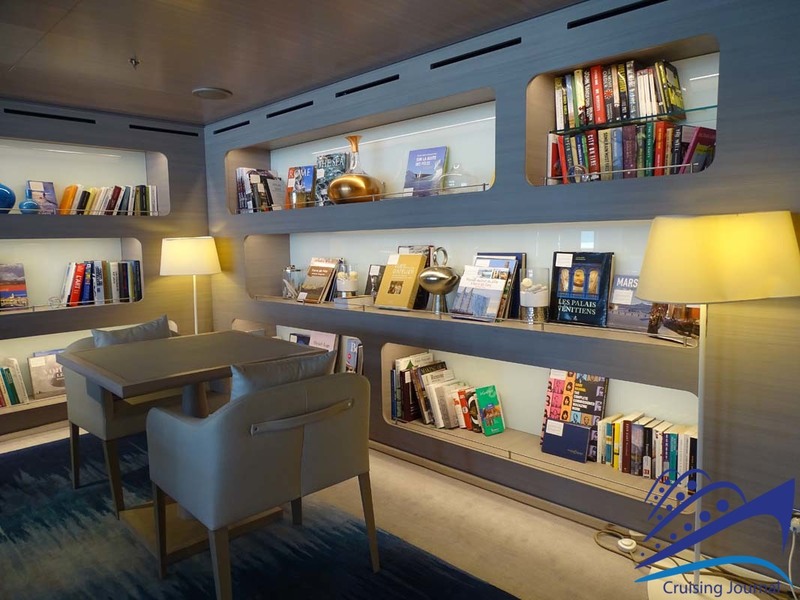 On starboard side, two computers are available for the guests and you will find an interesting library with maritime books and texts regarding the destination sites of the Arctic and Antarctic expeditions of Ponant. 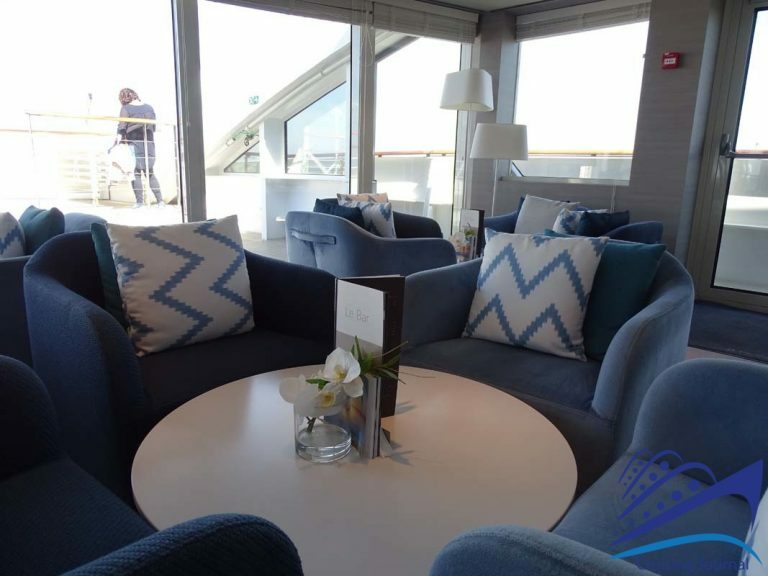 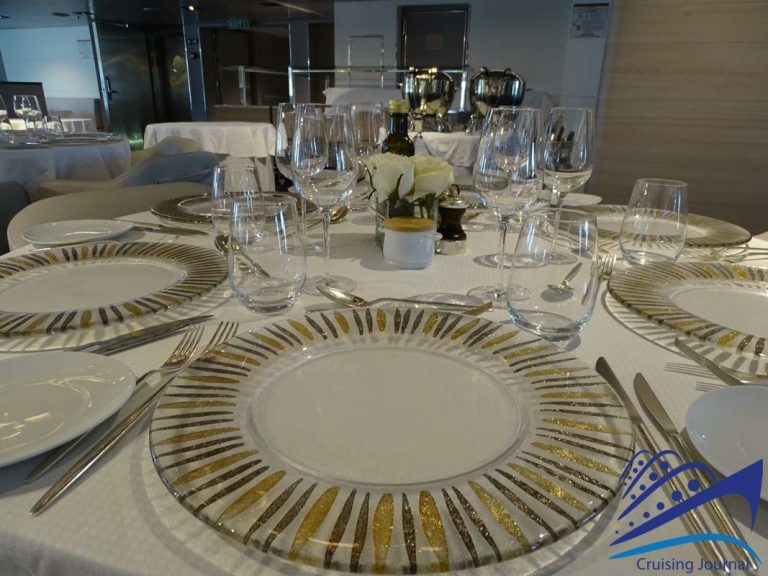 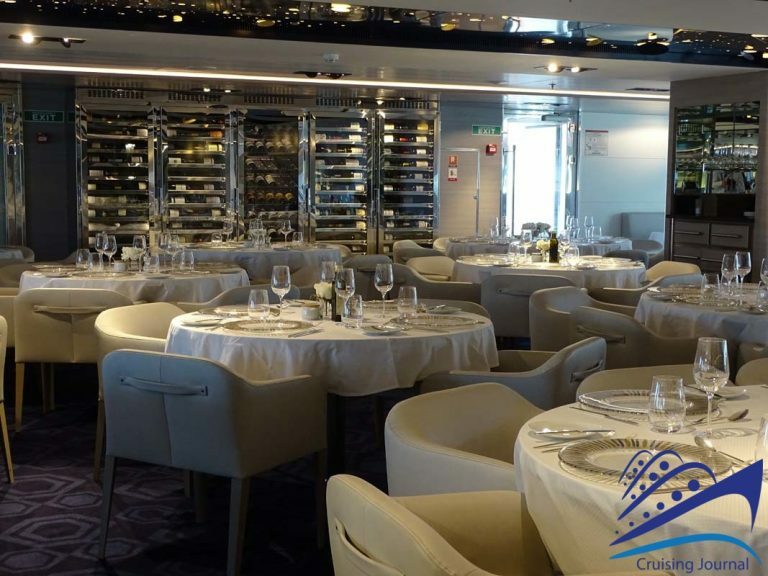 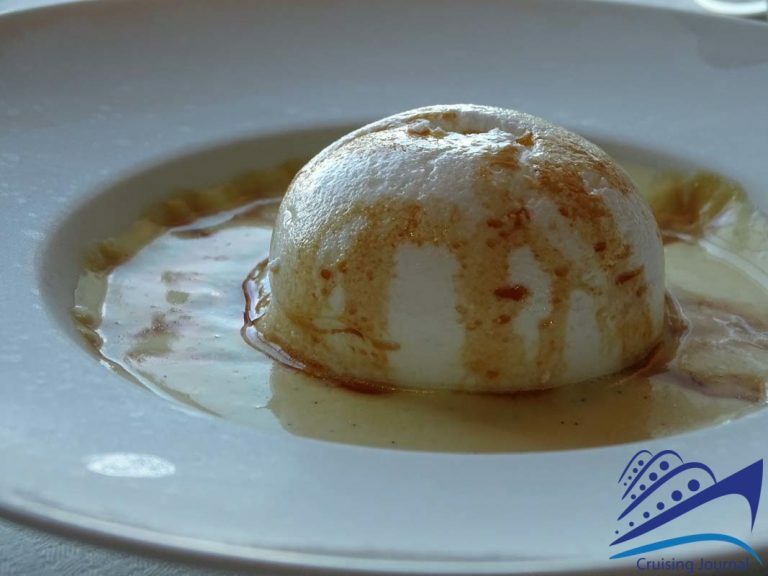 From here, you have access to the outdoor Panoramic Terrace: a very privileged perspective when you are at sea or when the ship is anchored in a tropical paradise. 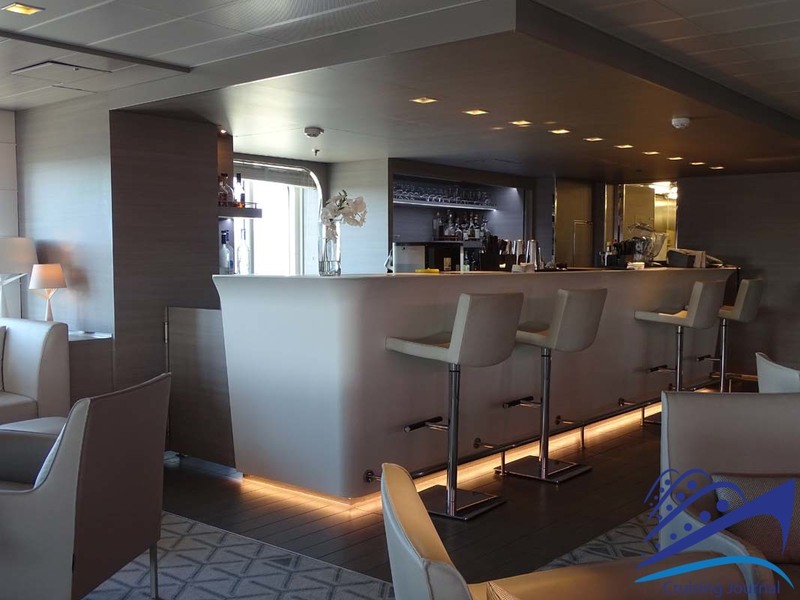 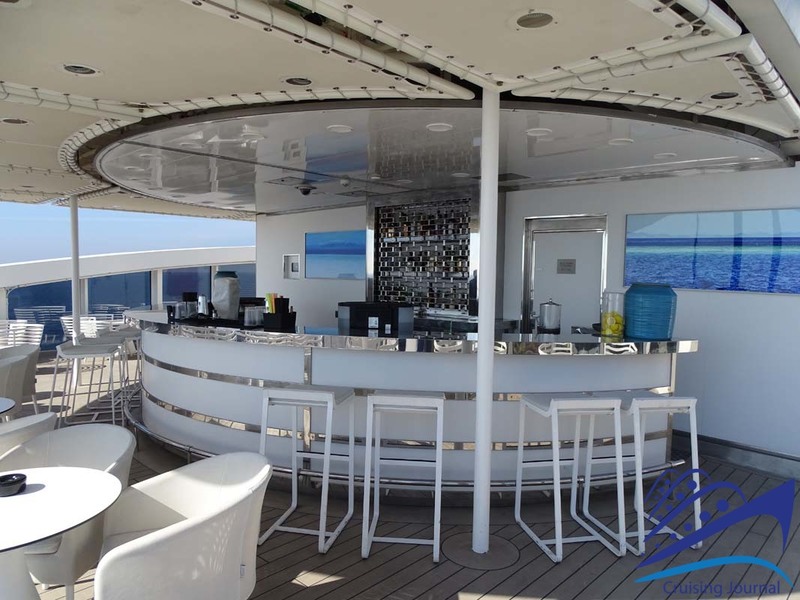 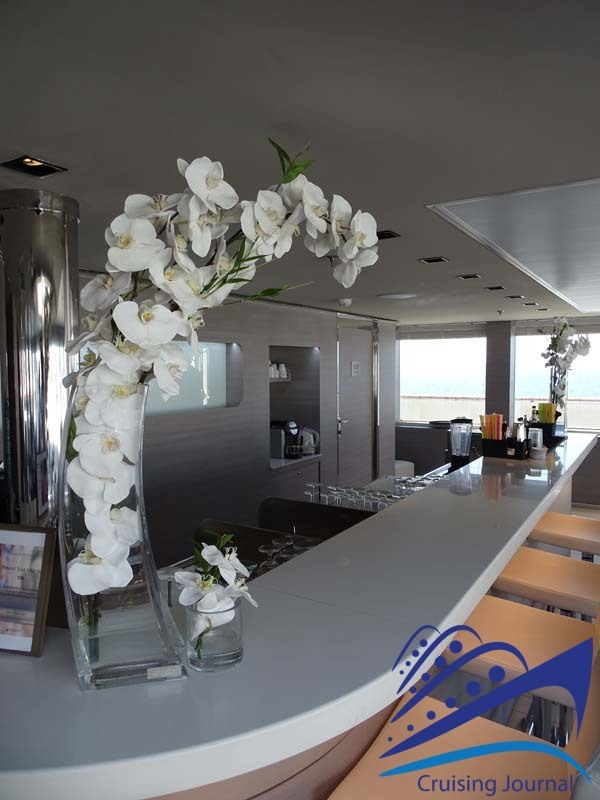 On Deck 7, at the stern, the Open-air Bar is another ideal location for admiring the view and the sea. A smoking area makes this pleasant outdoor environment a popular place to be. 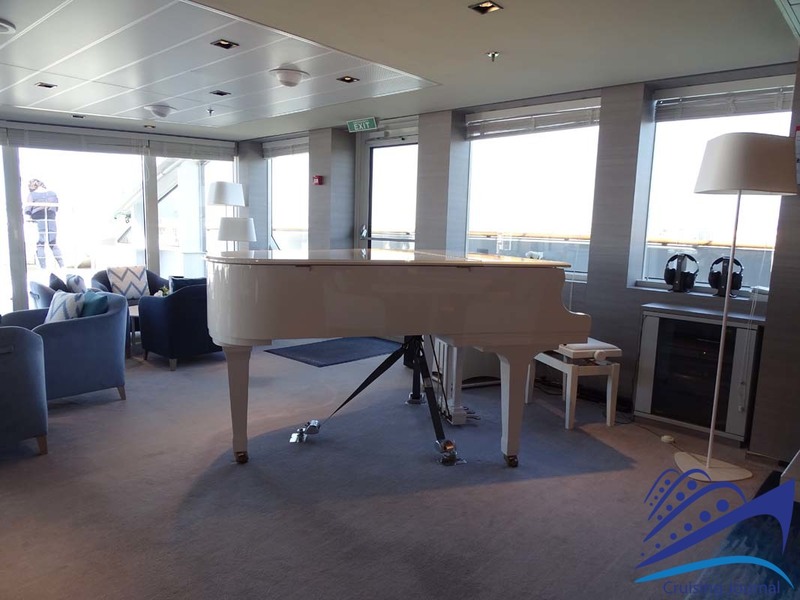 A Solarium opens up at the bow and offers comfortable seats and tanning beds for the guests. 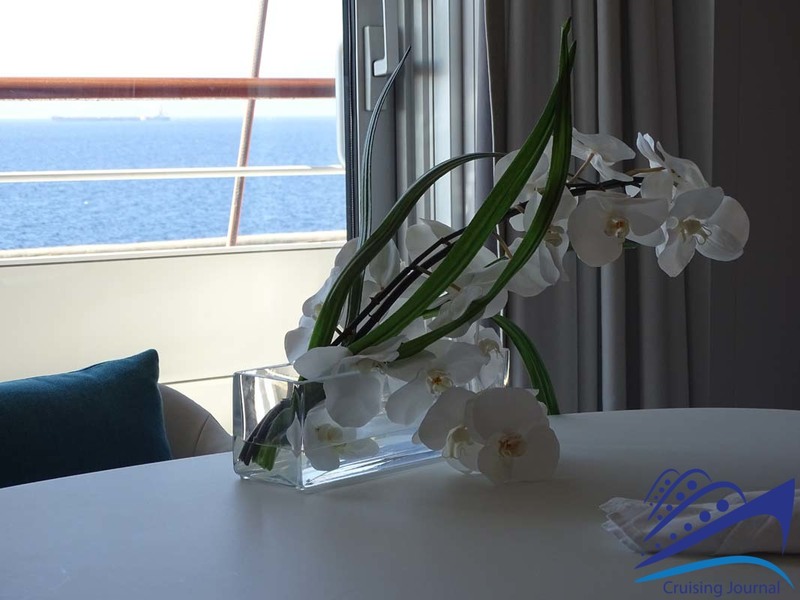 There are many types of cabins, all of which offer an ocean view and most of which have private balconies. The style, in line with the ship, is characterized by its sober yet modern elegance, and once again, its brightness. 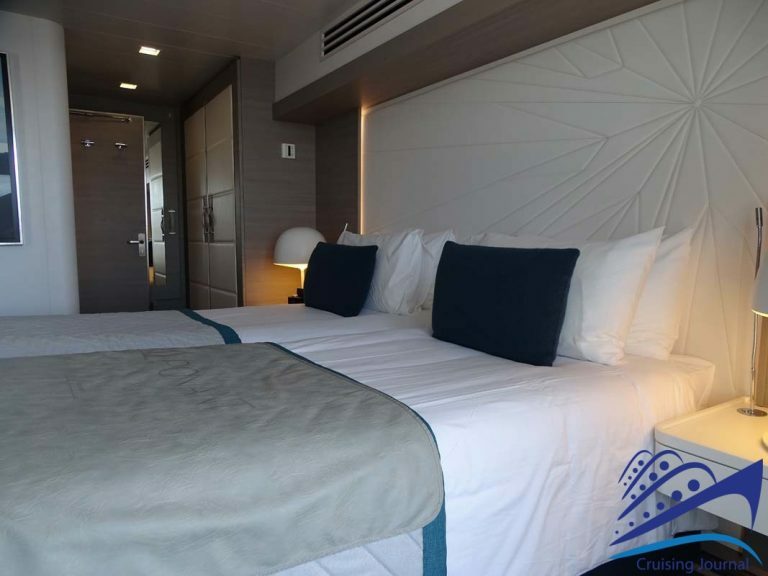 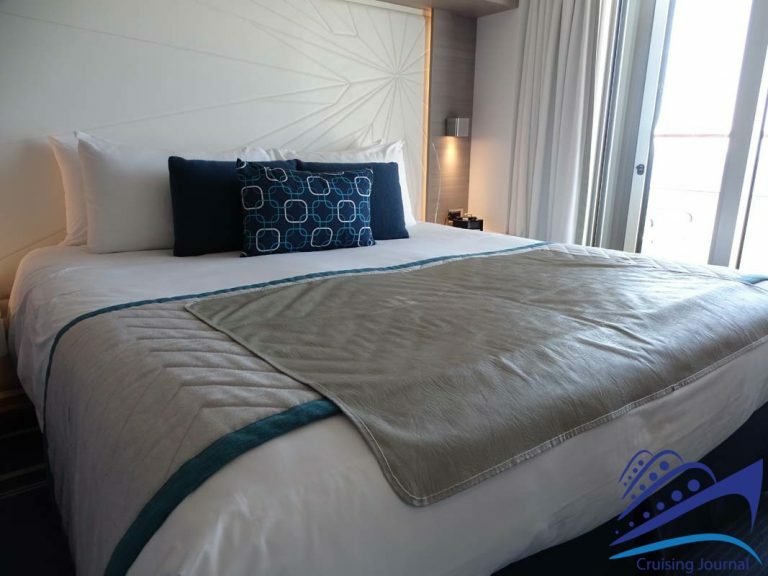 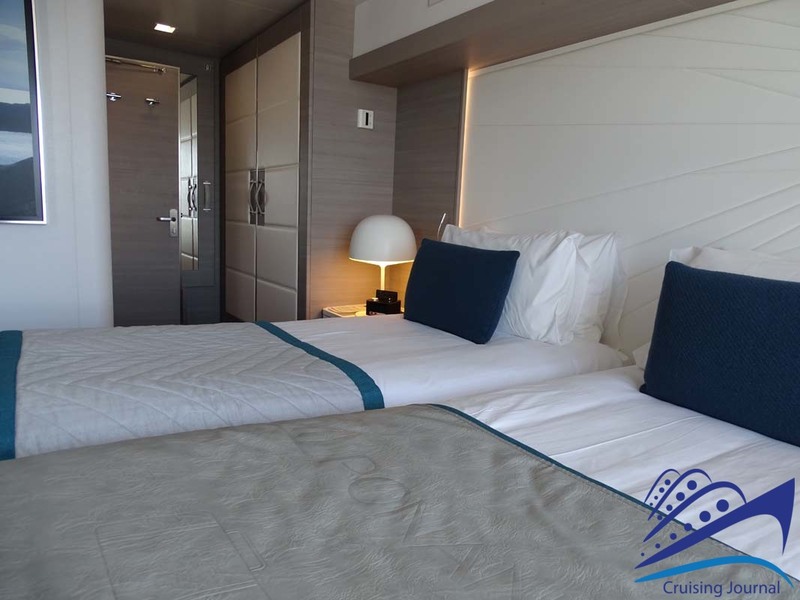 The Balcony Staterooms measure 18 square meters and represent the basic category. They have a bathroom and a separate toilet. 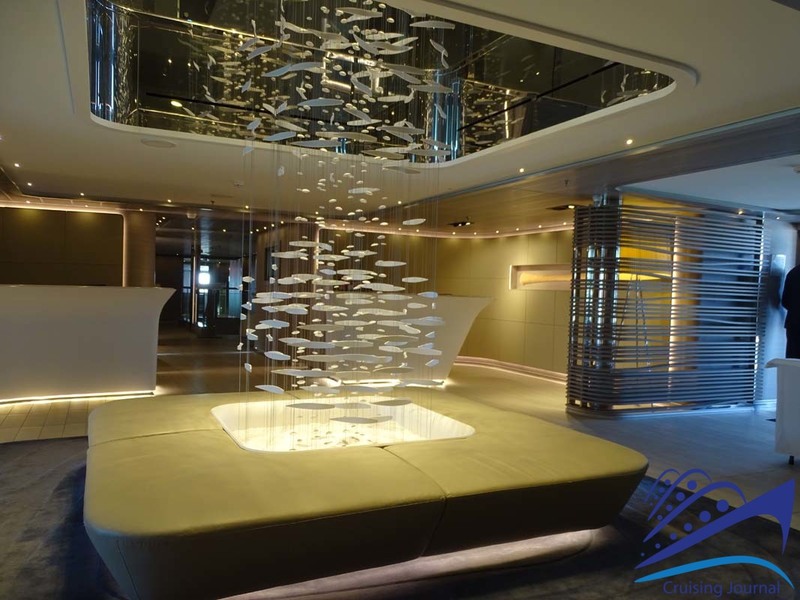 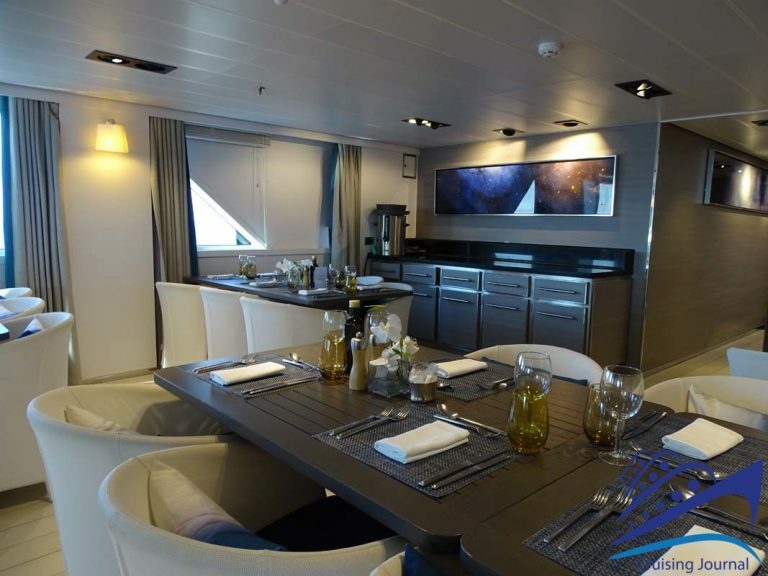 The Prestige Balcony Staterooms are larger, measuring 27 square meters. 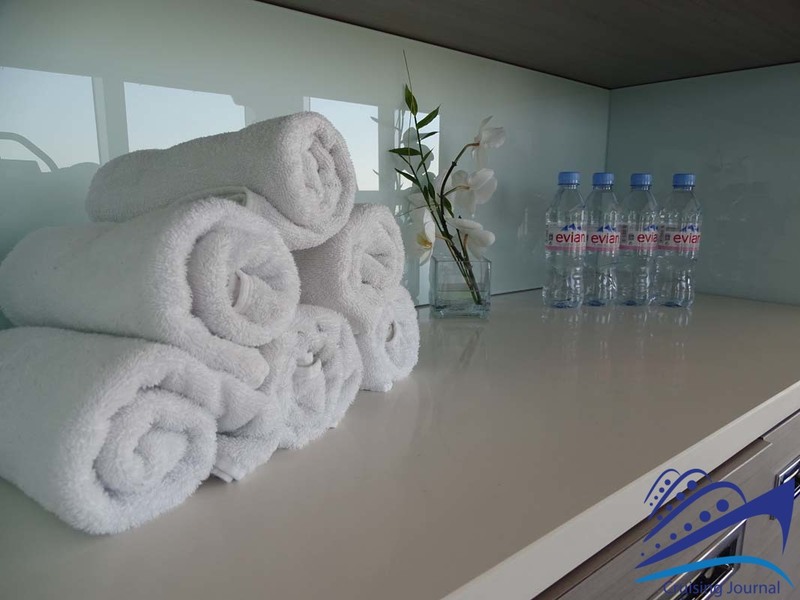 Both can be extended to become a Two-Room Balcony Suite, with a living room, large wardrobe / closet, and bathroom with Jacuzzi. 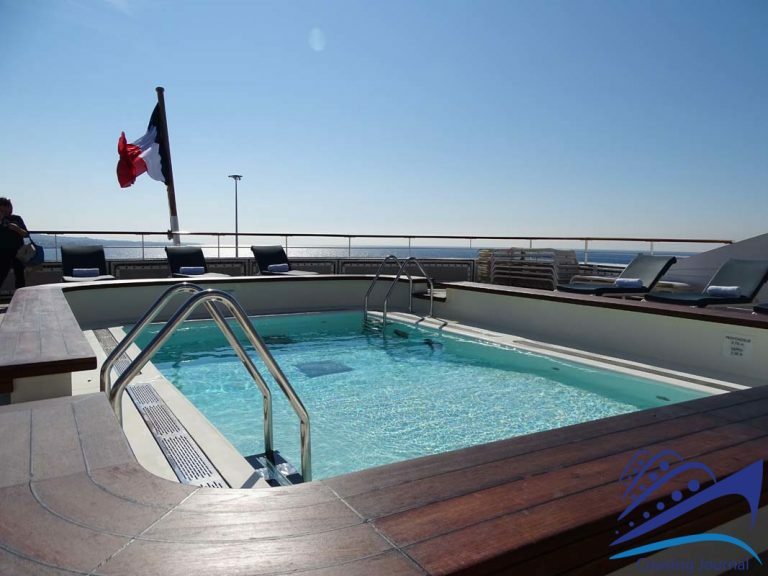 The luxury superior accommodations are simply amazing: Grand Deluxe Two-Room Balcony Suite (45 m²), Grand Privilege Three-Room Balcony Suite and the wonderful Owner’s Balcony Suite (52 m² plus a 12 m² balcony). 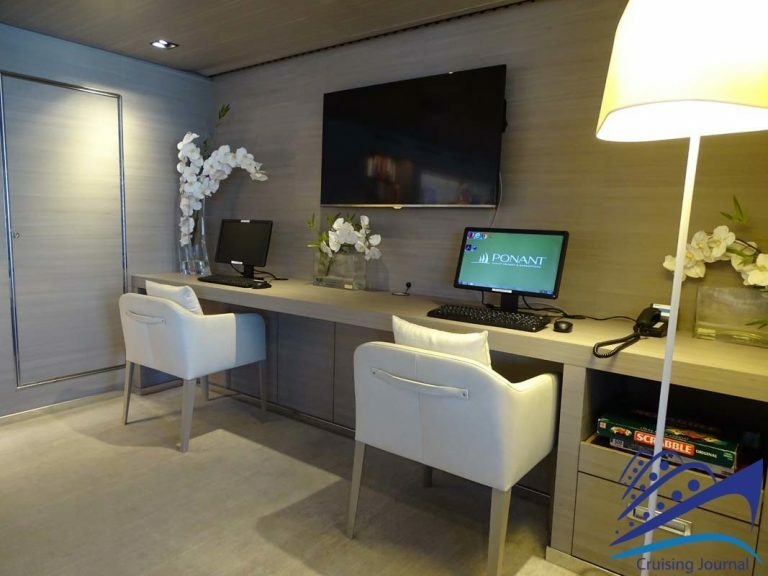 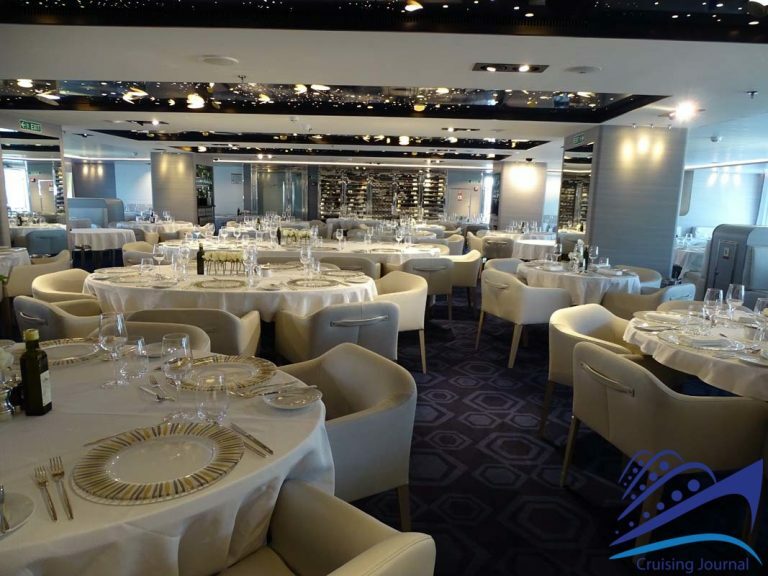 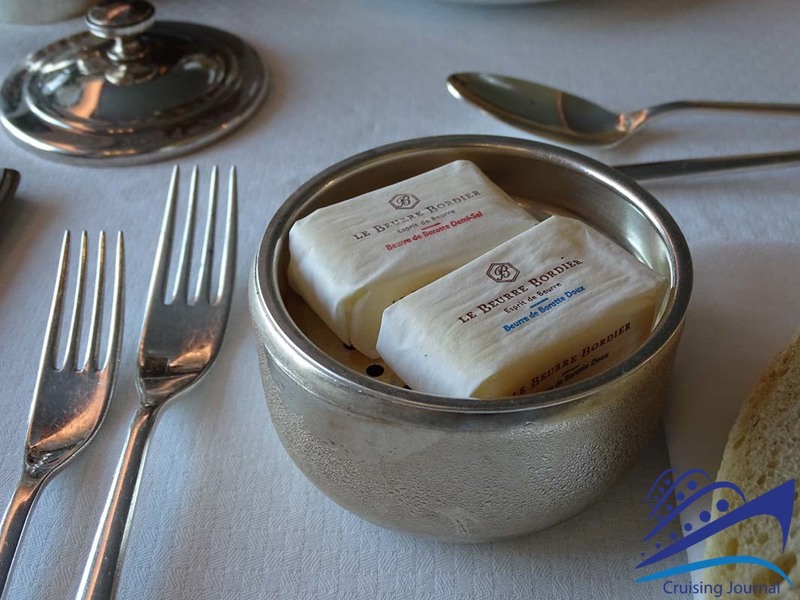 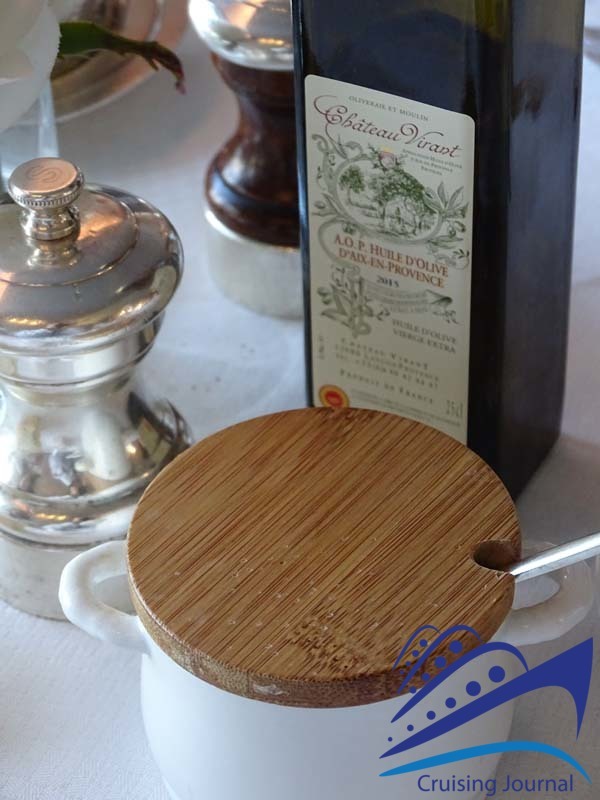 Careful gastronomy, service on a human scale, elegant but modern and comfortable environments, make Le Lyrial one of the most interesting ships in the luxury category, where small dimensions are perfectly combined with avant-garde techniques and the most advanced services.